The other day, I went to a local store to pick up a few prescriptions. 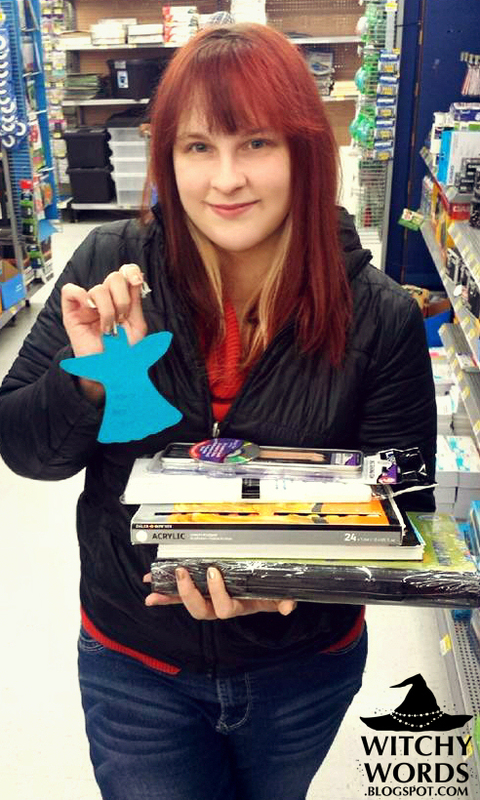 As I passed by the Angel Tree at the front of the store, I noticed a 12-year-old body was asking for an "artist kit." Because I'm a full-time caricature artist, I felt like this one particularly called out to me. How could I not? I go back and find the only "artist kit" the store carries: $5 and very child-like. At 12, I was interested in inking pens, tortillions, sketching pencils and kneaded erasers, not "non-staining watercolor." While I still got the set, I went to the arts and crafts department to pick up an array of items that I remember liking - and some I didn't just in case. I even grabbed a Canson multimedia sketchbook so he would have something to use all of his new art tools in! While the stack I have in my hand seems like a lot, it truly wasn't much. And I had never had so much fun giving back. The Salvation Army sponsors the Angel Trees and, while I know they have some questionable policies, these children are truly in need. If you live in the Kansas City area and are interested in giving back to someone in your community, see this link for a list of Angel Trees in or area. Alternatively, if you live outside of Kansas and Western Missouri, you can do a quick Google search for Salvation Army Angel Trees to find the one nearest you. All you have to do is select a tag from the tree, which will list the child's age, gender and their desired gift. You then buy the item in store or bring the item, brand new and unopened, with you. You put it in a bag, tie the bag shut with the tag attached, and place it in the gift bin! Simple as that! Just a reminder that stuff like this does exist, and it doesn't take much money to make a kid's holiday season. Draw on, kiddo! Draw on. You're very welcome! I hope you found one!